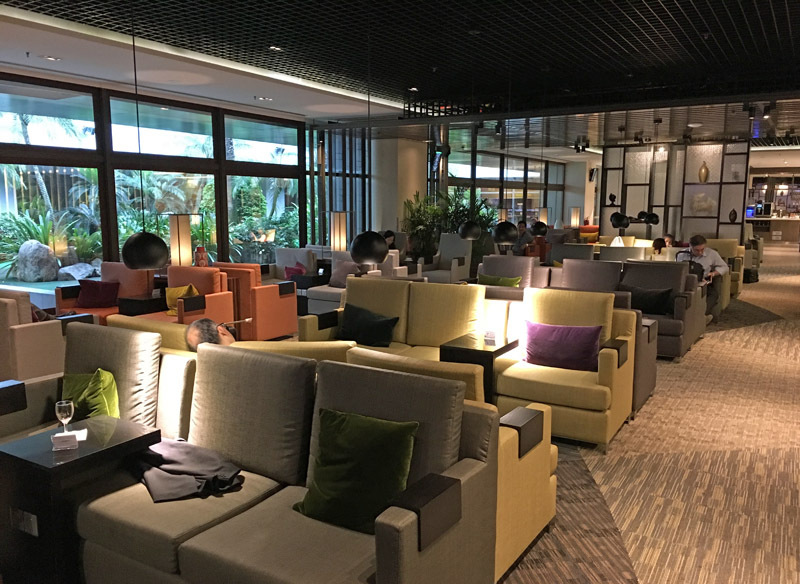 If you have status with an airline or fly in business or first class, you’ll typically have access to a lounge at the airport – and, sometimes, you’ll have a choice of several lounges. Your airline will usually direct you to a specific lounge, which will be the one it operates or has a special arrangement with. But not all lounges are havens of comfort and glamour – in fact, some are barely a step up from the mess of the terminal. So if you find yourself disappointed with a lounge, it pays to know if you have other, nicer options. One way you can access other lounges is where your airline has a partnership or alliance with other carriers that includes reciprocal lounge access rights. 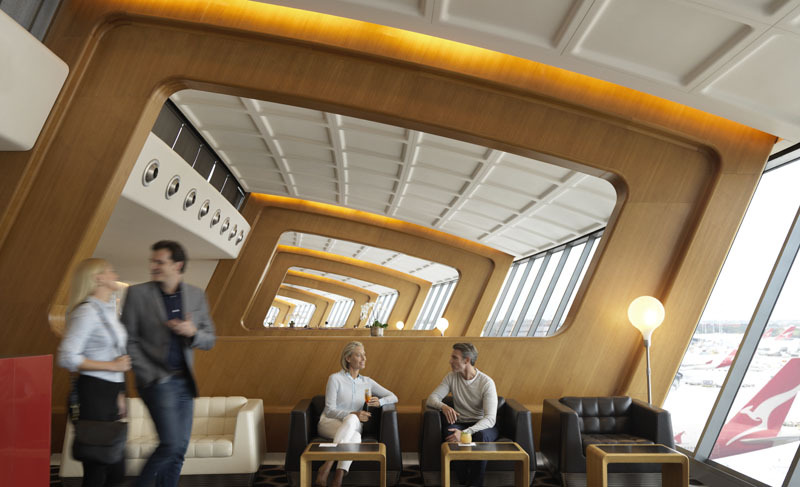 For example, Qantas is a member of the oneworld alliance and Qantas passengers in business or first class, and those with gold status or higher, can access other oneworld airline lounges, no matter which airline they are flying with. 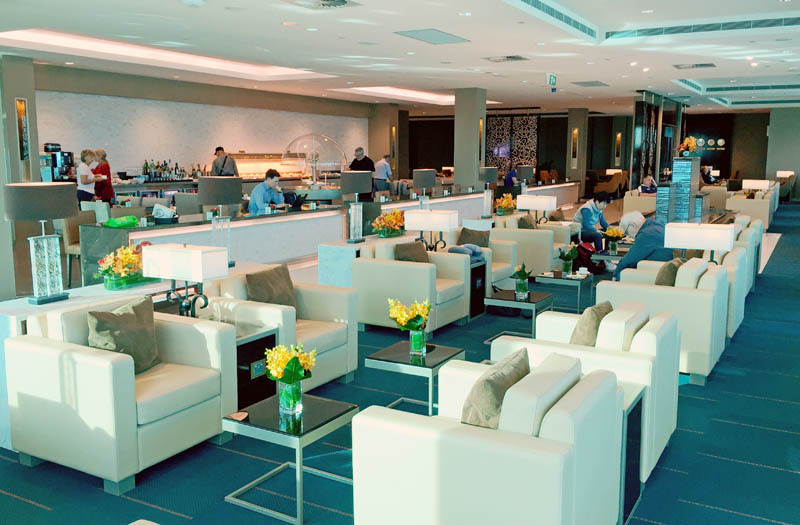 This includes lounges operated by Cathay Pacific, British Airways, Qatar Airways, American Airlines and others. This came in very handy once when I flew out of Dallas with Qantas. I first stopped by the dated, cramped and poorly serviced Qantas lounge (which is actually operated by a third party) and then decided to move on to the much nicer American Airlines Admirals Club. … and the nicer American Airlines lounge in Dallas I ended up in. 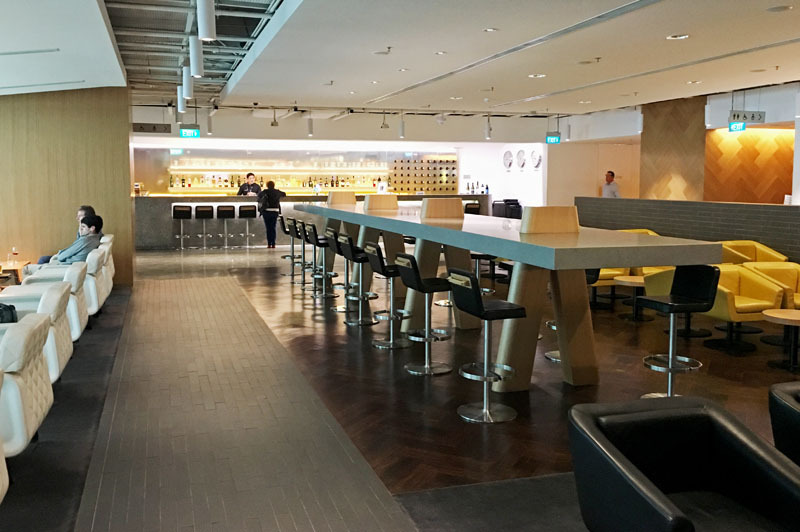 I did the same thing at Singapore Airport when flying with Cathay Pacific, popping in briefly to see Cathay’s uninspiring lounge before moving on to the superior Qantas and British Airways lounges (“lounge hopping”, as some of us call it!). … And the even better Qantas lounge in Singapore I ended up dining in. Another example of an airline partnership that includes lounge access benefits is the Qantas and Emirates tie-up. 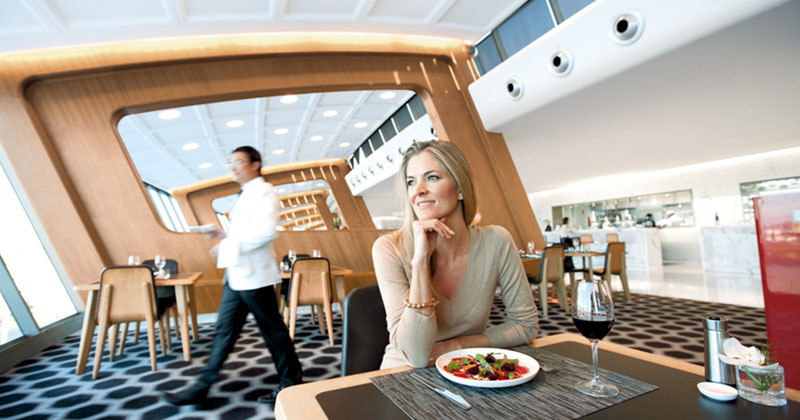 Passengers travelling with Qantas in business or first class or those with elite status can use an Emirates lounge at many airports, and vice versa. I take advantage of this when flying out of Melbourne, which has a pretty average Qantas international business lounge. The Emirates lounge upstairs is a much nicer space to relax in, with far superior food and drinks. 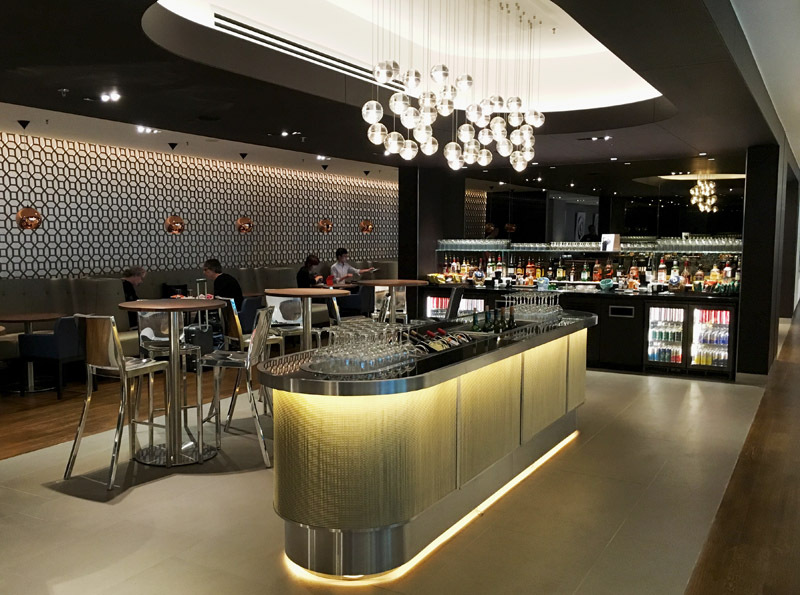 On the other hand, when flying out of Sydney recently in Emirates first class, I opted to relax in the Qantas First Lounge, which is much more stylish and with better food and drinks options. 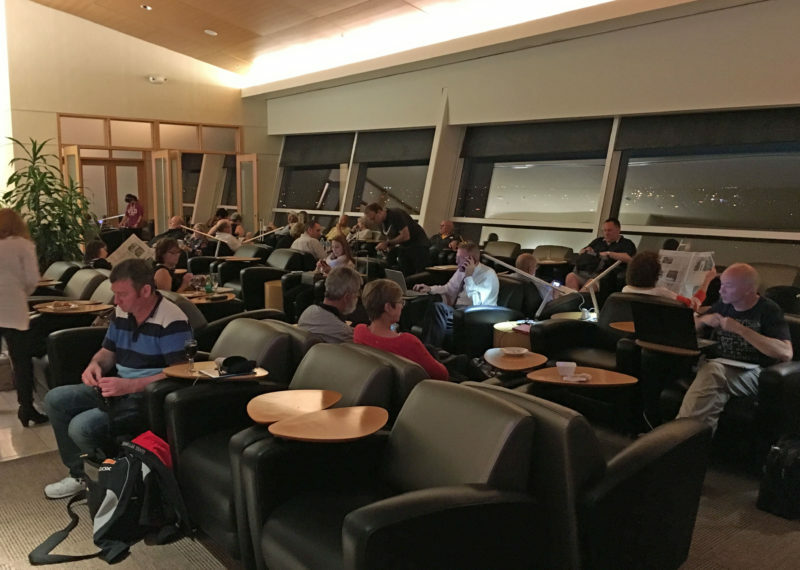 Different airlines and alliances have different rules about lounge access, and in some airports there are exceptions to the normal rules, so be careful when doing your research. You may need to do quite a bit of googling, as some airlines don’t publish lounge access rules very prominently on their websites. 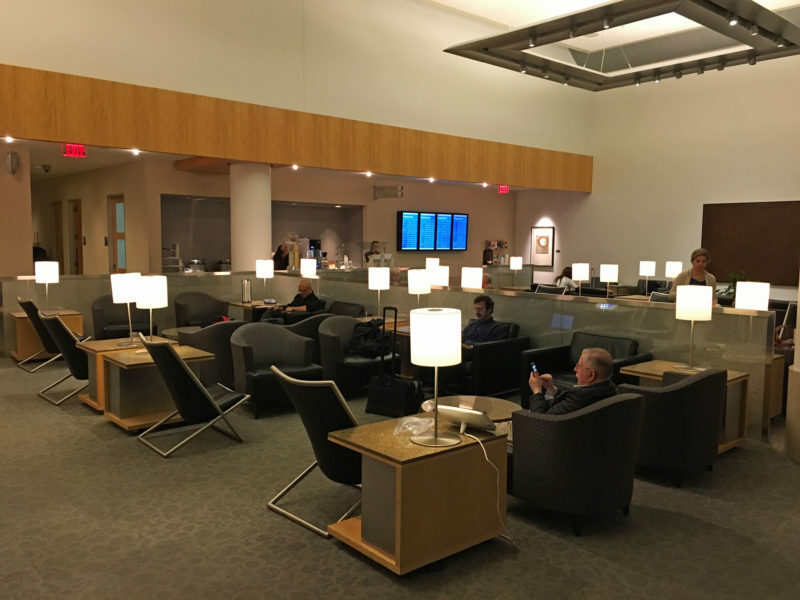 At some airports, there are also lounges that you can access by paying a fee or flashing a high-end credit card at the door, so check those options out as well. Once you’ve done the research, you’ll be ready to make an informed decision and, hopefully, enjoy the best possible start to your holiday or business trip. Is there a lounge for Thai airways? I fly out of Melbourne to Stockholm in October. I don’t think Thai operates a lounge in Melbourne but eligible passengers will definitely have access to a lounge – you can google to find out which one. No you can’t use the EK lounge, just Qantas or any other oneworld lounge (QF is the best). Thanks for the tips – really useful info!